There are services that we do not provide, and we refer out to other specialists and centers when appropriate. Some of the common services that we do NOT provide are: Applied Behavior Analysis (ABA) therapy, eastern medicine, herbal medicine, forensic/legal services, occupational therapy, substance abuse detoxification. You can read more about our services on our Mental Health Services page. You can also call us to inquire about scheduling an appointment or go to our Appointments page. If you are learning about mental health and would like some ideas about different resources, you can consider these Mental Health Links. "In the three years I have worked with Dr. Dang, I have seen that she consistently takes the time needed to make wonderful connections with her patients. Her warmth and genuine show of empathy with patients' difficult experiences, as well as the time she takes to really consider all variables before deciding on a course of treatment, make her an outstanding psychiatrist to work with." "Dr Dang is a very caring doctor, she has gone the extra mile To diagnose and treat our daughter’s condition. I highly Recommend her services." "Thank you! Dr. Dang you have helped me so much. I no longer have hate for others and you were so patient with me. If there is anything I could ever do for you please let me know. Because I will always be grateful for all you have done for me. Thank you! I will forever consider you my friend." 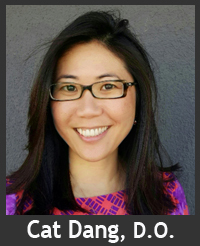 "Dr. Cat Dang was my daughter's doctor for about 2 years at Cedar Sinai. Dr. Dang advocates for her patient, she developed a trusted relationship with [my daughter] .... We miss you Dr. Dang." "Dr. Dang has been a vital part of the team helping my daughter in her recovery from anorexia. Dr. Dang is supportive, caring, upbeat, and knowledgeable. It has been a true pleasure working with her during a very difficult time." "Dr. Dang is a knowledgeable, caring professional with the patient always in mind first. I have never felt uncomfortable in her office one bit and [she] managed to stabilize what others had described as unstabilizable"
"Dr. Dang is an exceptional psychiatrist, bright, caring, with an excellent fund of knowledge. I have trained many psychiatrists over the last 25 years and Dr. Dang is clearly one of the best." 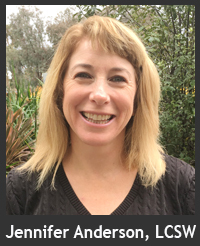 "I am a mother of two teenage daughters and also a marriage and family therapist and I have been very impressed with Dr. Dang's ability to make her patients feel comfortable. She is approachable, very thorough in her assessments and takes plenty of time when meeting with a patient and/or their family for treatment. I recommend Dr. Dang to many patients of my own and feel assured they will receive good care and progress successfully in their treatment." "Dr. Dang is easy to talk to and very responsive. I have so much faith in her with how she's helping me. She's just a great doctor." "Thank you for embarking on this not-so-fun journey with me of diagnoses and prescriptions. Thank you for listening to my problems & being open minded about everything. You are the best possible person for me and my needs. If it weren't for you and your intervention, I wouldn't be going to college. I really appreciate all that you have done for me." "Dr. Cat Dang is a highly intelligent doctor. She is very knowledgable, efficient, practical, down to earth, has a lovely bedside manner, she is approachable, very responsive, gets things done very quickly, excellent with medication management, well-liked by patients, friendly, available, does excellent evaluations, great diagnostician, great follow through." "I have [known] Dr. Dang for almost ... 10 years and she continues to excel in her studies and education. Her concern and passion for psychiatry enhance her already strong clinical skills. Patients have been very satisfied with her performance and "bed-side" manners. She is involved in multi-facets of psychiatry. It is a pleasure to work beside her." "When I think of Dr. Cat Dang the first thing that comes to my mind is AMAZING! I have seen her treat each client as though they were the only one, she gives them her full attention with the utmost respect and dignity. Dr. Dang's compassion and knowledge are obvious as she is always striving for the best welfare of each of her clients." "I've known Dr. Dang for years as a colleague. She is a caring and capable physician, with a heart close to the kids', and [with a] gentleness and compassion very much in need these days. Her skill as a physician has certainly won her respect among her peers." "I worked with Dr. Dang throughout residency and was always impressed by her compassion, her strong work ethic, and her gentle nature. Her generosity, warmth, and efficiency make her a valued colleague in our profession." "After having doubts about therapy due to a previous experience with a therapist… I am so grateful to have found Mailee! She has helped me get through some of the most difficult times of my life with her genuine empathy, compassion, and great listening skills and has given me tools to help me get through difficult situations and life in general. She is a great therapist and person who is clearly passionate about what she does, and I am so thankful to have finally found a therapist who has made such a difference in my life." "Mailee has a way of making both of my teen daughters feel at ease and comfortable talking to her. She is compassionate, caring and understanding; yet "firm" in knowing what is best. She has been a huge, positive influence, benefiting our entire family." "I have been working with Mailee for 5 months and I couldn't be more pleased. She is compassionate and I feel heard, understood, and encouraged during our sessions." "Our daughter found it very easy to communicate with Mailee which made it natural for her to work out her issues. Mailee has always made herself very accessible, too." "Everything is going well, therapy with Mailee has definitely helped and improved my overall self-esteem and confidence. I feel a lot more optimistic than I had prior to meeting with Mailee." "Mailee is the most amazing therapist!" "Mailee improved my marriage but more importantly gave me and my wife clarity in dealing with conflict with care." "Mailee is the third therapist that my daughter has been to. My daughter has made better progress in one month than she has with the other two therapists combined! My daughter absolutely loves her and she has had such a positive influence in our lives." All content found on this website is for informational purposes only; please do your own research. Do NOT use this website for emergencies. If you think you may have a medical emergency, call your doctor or 911 immediately. This website does NOT provide medical advice and is NOT intended as a substitute for medical advice. Always call your doctor or seek the advice of a physician about any medical concerns. Do not delay in seeking medical attention because of this website. Insightful Minds, Inc. does NOT warrant that the content on this website is accurate or suitable for any purpose. Reliance on any information on this website is solely at your own risk. Copyright © 2014 Insightful Minds, Inc. All Rights Reserved.